Popcorn has become a big hit recently. Its mainstream in supermarkets and has even gone gourmet with all sorts of wild flavours (and prices). Oddly enough I have always made it myself. There is something about the drama of the popping…. its totally nuts, little kernels springing into action and catapulting themselves at the pan lin. Plus its SO easy, SO cheap, and SO healthy. Honestly, don’t bother with the pre-packaged stuff. 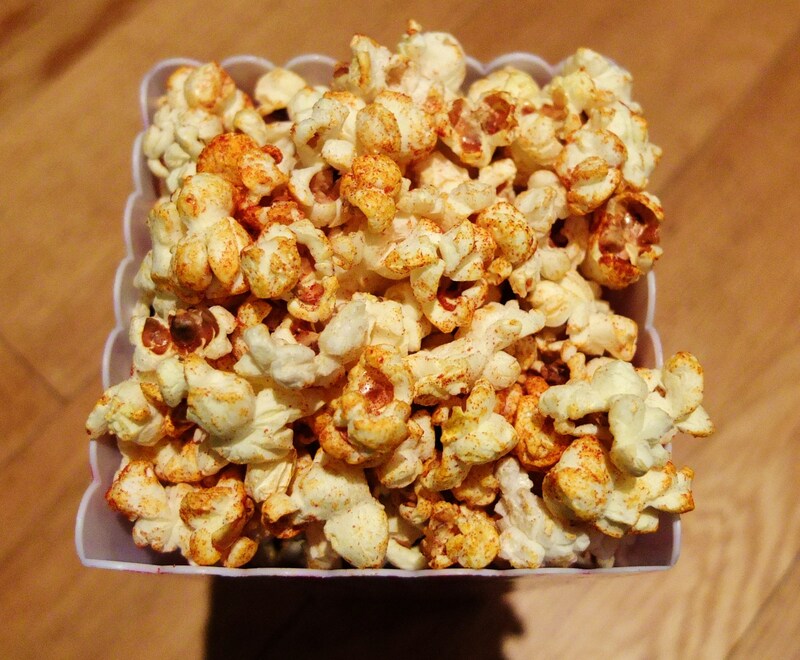 Especially don’t bother with the extortionately priced and super-stale cinema variety… even the cashier will judge. 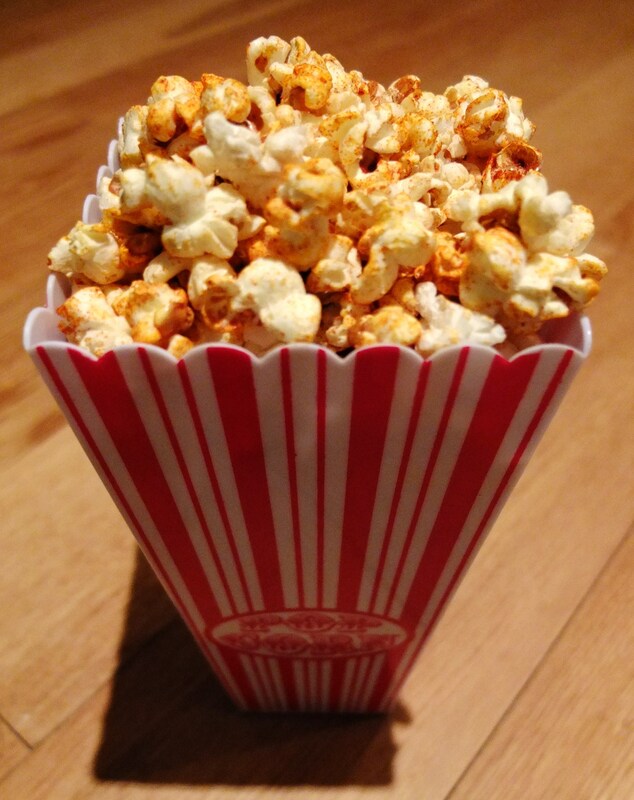 Popcorn is an ideal alternative to fattier snacks such as crisps and is fructose free! So you can eat bowl after bowl and feel pretty smug about it. Also, if you are not a BBQ fan, there are so many options open to you: a dash of either salt, cinnamon, paprika, parmesan, five-spice, whatever takes your fancy. Get popping! Have tried a number of your recipes with a lot of success. So this one to enjoy with a good film is a no brainer!